Sarah Monette was born in Oak Ridge TN, one of the "secret cities" of the Manhattan Project. 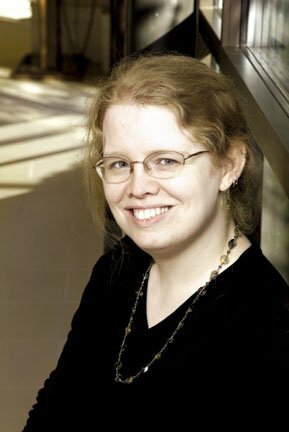 She studied Classics, English, and French at Case Western Reserve University, and earned her master's and PhD in English Literature both at the University of Wisconsin. Her specialty is Renaissance drama, and her dissertation was about revenge tragedies. Monette's first story, "Three Letters from the Queen of Elfland" (2002), won a Gaylactic Spectrum Award. Her short fiction has appeared in Lady Churchill's Rosebud Wristlet, Alchemy, Strange Horizons, and various other magazines. Several stories about supernaturally-afflicted scholar Kyle Murchison Booth were collected in The Bone Key (2007). Monette's first novel Mélusine (2005) was a Tiptree and Crawford nominee, and began a fantasy series that continues in The Virtu (2006), The Mirador (2007), and Corambis (forthcoming 2009). She co-wrote subversive animal-companion fantasy A Companion to Wolves with Elizabeth Bear (2007). In 2006 and 2007, Monette was a finalist for the Campbell Award for best new writer. “One of the really neat things about fantasy, science fiction, and horror as a conglomerate genre is that the world is as much a part of the story as the characters and the plot. (It's more evocative to call it 'world' than 'setting.') I create like a magpie, with bright shiny things, or little pretty pieces of trivia. The catacombs of the city in Mélusine came from when I was 15 and spent three weeks in Vienna. When they were excavating their subway stations they found a medieval chapel, so they put a window in the subway station -- if you're going by, you can just look and there's this little medieval chapel. Stuff like that. “I find reality very boring. I have never had an idea for a story that did not somehow involve the supernatural, the science-fictional, or the fantastic in some way. But psychological realism is what I'm here for. That's what I do: if a story is going to provide anything more valuable than a couple hours' entertainment, it has to be psychologically true. The full interview, with biographical profile, is published in the April 2008 issue of Locus Magazine.